This was a very pleasant surprise in my Twitter feed today that we want to share with all of you. With all of us in that last-second hurry to get the gifts bought and lock down travel plans, it's a good time to take a three-minute break, hit play here, imagine yourself on a Hawaiian beach and take in a beautiful version on a holiday classic. 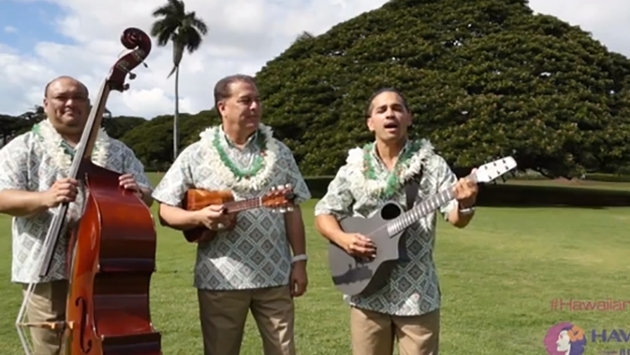 Hawaiian Airlines put together a video holiday greeting card featuring the Hawaiian Airlines Serenaders singing "Po La?i e (Silent Night)". Retweet it to all your friends.